Getting rid of the lieutenant governor's office could save $1.6 million a year, says state Rep. David McSweeney, who started the idea moving this week in the General Assembly. Anytime an amendment goes on the ballot, the law says Secretary of State Jesse White has to mail the text of the amendment to voters in advance. In 2014, mailing the text of two proposed amendments cost $2.4 million. When told that McSweeney's bill could result in an $800,000 net loss, a spokesman said: "Why do we need to notify the voters by sending them expensive snail mail? We can just post an online petition instead. Like they did to permit firearms at the Republican Convention." during the RNC Convention in July. 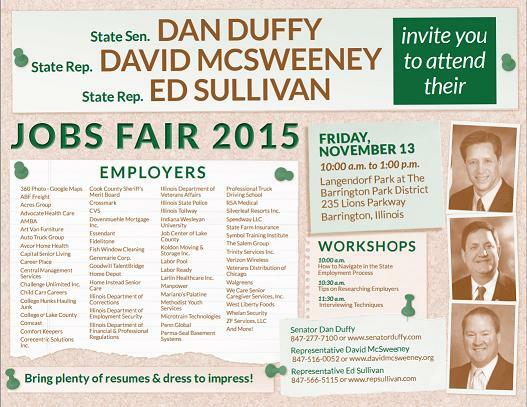 To date, McSweeney has not sponsored a bill to eliminate the Illinois Governor's office as well. Experts, however, estimate that firing both the Governor and the Lieutenant Governor could potentially save the State of Illinois billions.